The Dane County Task Force, in partnership with the Dane County District Attorney’s Office, plans to launch a new diversion program that will target parents of color who encounter the criminal justice system following an arrest for physical abuse to a child (which resulted from excessive corporal punishment). Coordinate services that will help families when they need it. Efficiently utilize scarce county services by minimizing replication of services. Support the work of CPS by providing an additional incentive to embrace services. Immediately address child protection without implementing bail order not allowing contact with their parents. Offer offenders of color a less punitive and more productive response to criminal conduct. Collaborate with CPS to structure meaningful services. Send a unified, clear and consistent systemic message to families. Spare defendants high legal costs that further stress families. Therefore, the Dane County District Attorney’s Office has agreed to work collaboratively with the Department of Human Services – Child Protection Services in an effort to fast track appropriate criminal cases in which offenders are arrested for intentional physical abuse to a child where excessive physical discipline is the presenting issue. Both parents of color and their children are likely to receive short and long-term benefits from a deferred prosecution model, which provides timely intervention addressing alternative discipline approaches. With support from the Dane County Executive’s Office and collaboration with Dane County Human Services Child Protection Services, a new Deferred Prosecution Unit (DPU) within the DA’s Office will begin in the fall of 2013. The intention of this new restorative justice position will be to create one hybrid position that will utilize scarce county resources in the most efficient and effective manner. Additionally, this program may be able to accept cases in which a parent/suspect has alcohol and other drug abuse (AODA) issues and qualifies for Drug Court diversions as well as some domestic violence cases in which children are witnesses. The Dane County District Attorney's Office is now a No Hit Zone. More information can be found here. 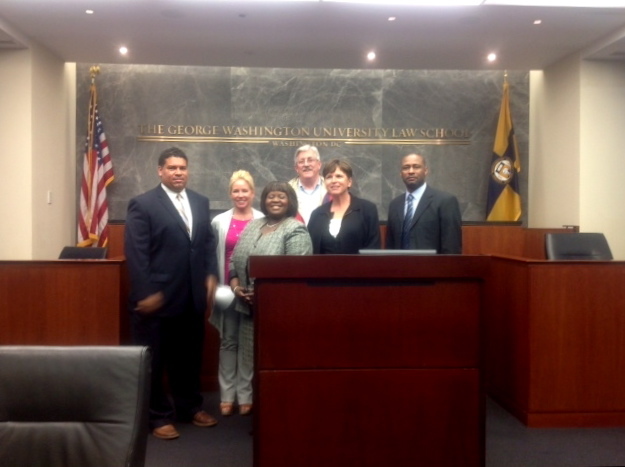 On October 10, 2014, RJIP held their annual meeting to discuss where we are and our future plans for reform. The Dane County Task Force presented the new programs aimed at reducing child abuse and strengthening families, as well as their progress so far. To view the presentation please click here. 19 Defendants have signed and are actively working toward completion of their Deferred Prosecution Agreement. 11 of the 19 are female, 8 of the 19 are male; 9 of the 19 are black, 6 of the 19 are White, 1 of the 19 is Asian, and 3 of the 19 are Hispanic. On June 10, 2014, at the Fountain of Life Church in Madison, Wisconsin, the Dane County Task Force held a conference open to the community. The conference was led by Dr. Stacey Patton, who connected historical information on slavery practices and principles with modern forms of punishment and abuse. The conference created a safe forum for candid conversations about race, religion and parenting practices. On June 11, 2014 Dane County hosted a conference on the Impact of Corporal Punishment for system stakeholders (law enforcement, human services, medical, legal, and school personnel) as well as for community (faith based, community based organizations, leadership in communities of color). The conference provided a gateway to larger conversations about cultural competencies, race, our history, criminal justice impact and family impacts. Identify one strategy to employ in your professional practice to promote positive, non-violent parenting. 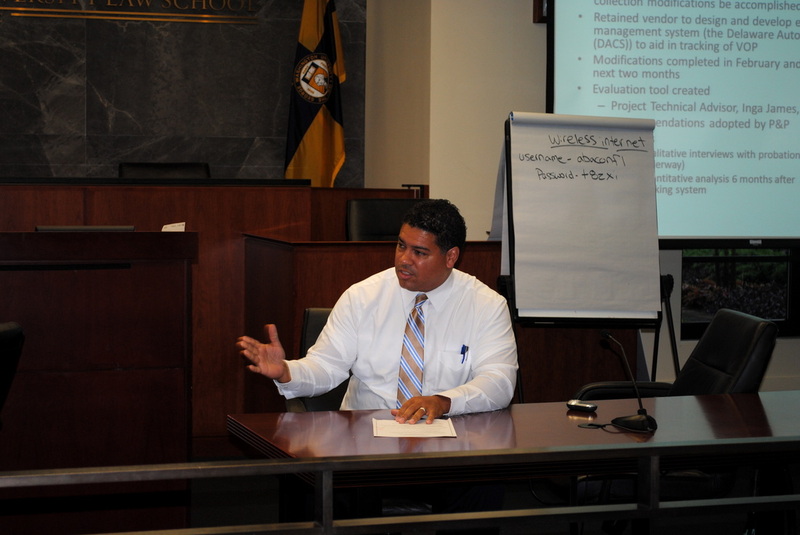 To view the Conference Invitation Letter from District Attorney, Ismael Ozanne, click here. For full conference schedule, please click here. For speaker line-up, see here. ﻿"In my 25 years in the field, this is one of the most interesting projects I have ever seen. ... This project may be a model for the entire United States." "Race and culture not only impact how people parent, they also impact how professionals and families engage each other and how both sides perceive outside intervention into the family"
"This conference was an important step forward in the longtime struggle to challenge the African-American community's deep connection to physical punishment of children"
Newsletter! The Dane County Office of Equal Opportunity publishes a quarterly newsletter focused on equity issues and general updates within their county. The July 2013 publication (Volume 1, Issue 3) details Dane County's involvement with the Racial Justice Improvement Project. Read more by clicking here. ​Researchers and the Dane County Criminal Justice Council (CJC) joined together to reform the County's pretrial assessment procedures. Researchers at Harvard University along with the CJC have partnered to conduct a multi year study evaluating the impact of the Public Safety Assessment, a tool created to help judges make accurate, efficient and evidence-based decisions. "Wis. candidate defends program for abusive parents"
"AG candidate Ismael Ozanne defends diversion program for abusive parents"
For more information on the Wisconsin Task Force in the press click HERE. Wisconsin news station show, For the Record, featured an episode, The Spanking Debate, discussing corporal punishment and racial discrimination in the criminal justice system. Watch it here! "“The No Hit Zone initiative stems from the District Attorney's Office commitment to reducing the use of corporal punishment to discipline children because of the proven negative outcomes associated with such punishments." Wisconsin has the highest rate of black male incarceration in the country. According to the U.S. Census Bureau, 1 in 8 black male residents of the state were incarcerated in 2010, a figure that is double the national average. John Pawasarat and Lois M. Quinn of the University of Wisconsin Employment and Training Institute examined two decades of state Department of Corrections (DOC) and Department of Transportation (DOT) files as part of an assessment of employment and training barriers facing Black men in Milwaukee County. They report that more than half of black men in their 30s and 40s had been incarcerated in state correctional facilities and, additionally, that only 10% of black men with DOC records had a current valid driver’s license. They note that thousands of adults in Milwaukee’s low-income neighborhoods, and particularly black males, have suspended licenses solely for failure to pay fines. In the neighborhoods with the highest concentration of people returning from prison, there are 25 people looking for work for every one available full-time job. In addition, since the 2008 recession, people returning from prison are competing with unemployed and underemployed skilled and unskilled workers for jobs that become available. Among other things, the authors suggest the state revise policies that contribute to mass incarceration and use the cost savings to fund employment and training programs for people who are currently or were formerly in DOC custody and to support programs to assist those individuals in getting their licenses reinstated. There's a contradiction in Dane County that is becoming hard to ignore. While the community is known for its high standard of living, educated workforce and progressive values, multiple studies have found Blackss here have one of the highest arrest and incarceration rates in the country, do poorly in school relative to whites, and live far more often in poverty. Trying to get to the bottom of these seemingly incompatible truths inspired a report by the Wisconsin Council on Children and Families that measures the "extent and pattern" of racial disparities in Dane County. "The desire to understand the seeming paradox between reputation and reality was an important motive behind the creation of the Race to Equity Project," the authors wrote in their introduction. "Could a place as prosperous, resourceful and progressive as Dane County also be home to some of the most profound, pervasive and persistent racial disparities in the country?" Project director Erica Nelson acknowledges that Race to Equity: A Baseline Report on the State of Racial Disparities in Dane County, to be released formally Wednesday at the annual YWCA Racial Justice Summit, did not produce the answer to the "paradox." "If it were simple, many of these issues across the nation would be better resolved," she says in an interview. Some of Dane County’s ongoing problems with disparate treatment of populations of color within their criminal justice system could be offset by new “community court” initiatives. These community courts would funnel 17 to 25 year old groups of color (in the geographic area) suspects into restorative justice programs where they will be presented with the opportunity to make amends for minor offenses, thereby keeping their criminal records clean.